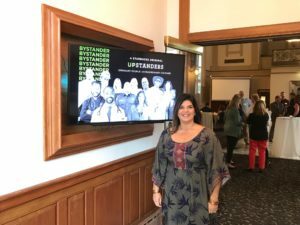 Middletown resident and business owner Ami Vitori is featured in an episode of the newly released Starbucks Upstanders: Season 2. Vitori, a fourth generation Middletonian recently moved her family back to Middletown to help with the revitalization of the city. The episode follows her through Torchlight Pass, a 40,000 square foot building in the heart of downtown that she purchased, renovated and added several businesses to since 2016, including a hair salon, yoga studio and restaurant. A screening of the film was shown at a private event for media and community representatives on October 11. The film can be viewed at: https://starbuckschannel.com/episode-09-saving-middletown/. It is also available on starbucks.com/upstanders, Amazon direct video, and Audible.